My mom arrived Wednesday afternoon and it's been soooo fun having her here! Wednesday night while we were watching one of our favorite mother/daughter movies, Overboard, I started having contractions, and they didn't feel so nice. It was like a constant pain in my abdomen, so around 9pm we packed up the rest of my hospital gear, snuck into Fox's room to say goodnight and goodbye to being an only child, then headed to Hollywood. 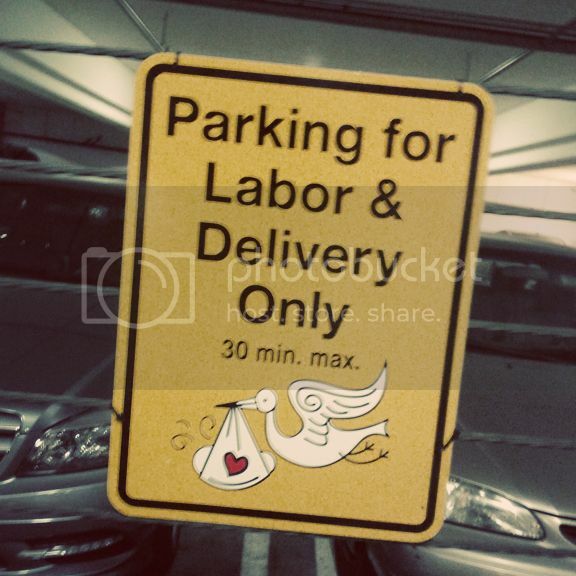 We found a parking spot just for L&D and made our way to the front of the ER where nice men with wheelchairs are ready and waiting for preggos about to burst. I got hooked up to fetal heartbeat and contraction monitors, head my blood pressure taken, and then the resident OB came in to check me. 40 hours since my membranes were stripped and I was still 3-4cm, 50% effaced. Zero change. You've got to be kidding me. I asked about getting induced and he and the other resident OB seemed baffled that I would even ask. They said I could walk around for a few hours to try and get things going or go home. Since I hadn't progressed in 40 hours, I knew walking around for another few hours would make no difference. We went home. So here we are. Still no baby. My counter is over and Jane is still cooking away. I've given up trying to make her come by eating random things and going on vigorous walks, etc. 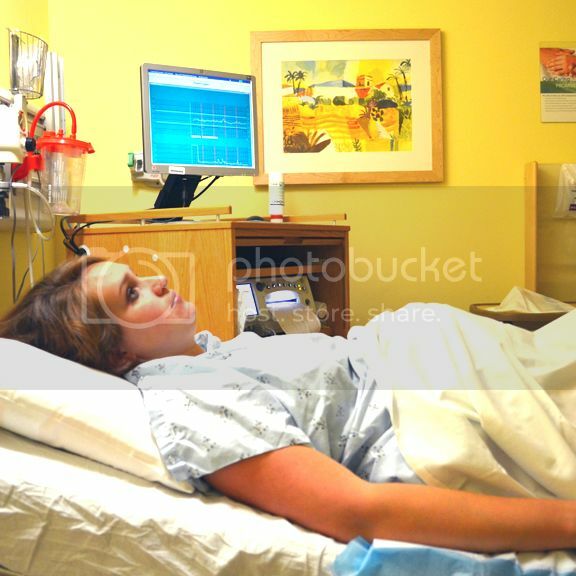 Sunday I call the hospital at 8:30am to see if there's room for me and if so, I'm set to be induced at 9am with my own OB who understands and knows my situation. Crossing my fingers that plan comes to pass without a hitch! This is definitely my "test of patience" pregnancy! I totally remember that walk of shame, which I took twice when my 3rd was born less than a year ago. :) I know you feel like she'll never come, but before you know it sweet Jane will be snuggled up next to her mama. Hang in there!! 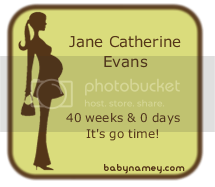 oh gosh, we are all waiting for you baby Jane!!! I did the exact same thing with my second child too! 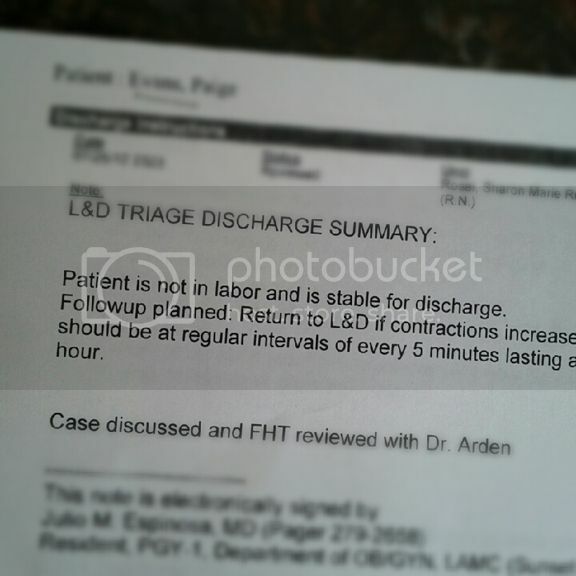 False labor, sent home to wait to be induced at 41 weeks. I called the morning of and they didnt have room...so I cried, like a baby, with the nurse on the phone. We had to wait a whole day before they called to say there was room. Hope that doesnt happen to you! 41 weeks and a day was enough for me! I know the waiting game is so hard, especially when you have another little one at home. Oh no :( you can do it...hang in there! Aw... I know how you feel, Paige. I also had FALSE labor when I had my daughter! And it was kind of embarrassing considering that my hubby is a doctor(LOL)!! The REAL labor came the day after...so you are getting close!Hang in there! Jane will meet you (and all of us ) soon! I was in the same situation that you were in, but I didn't want pitocin...so I had them just break my water and it worked. They said if that labor didn't progress they would use the pitocin. ugh. those doctors. 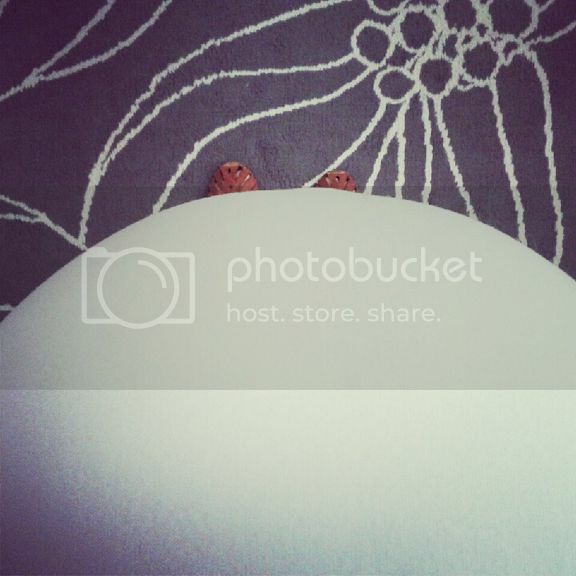 your baby bump is very round :) I miss you!! Hang in there Paige!!! Can't wait till she arrives!!! Oh any day now! My mom and I love overboard too :) praying for a safe delivery!